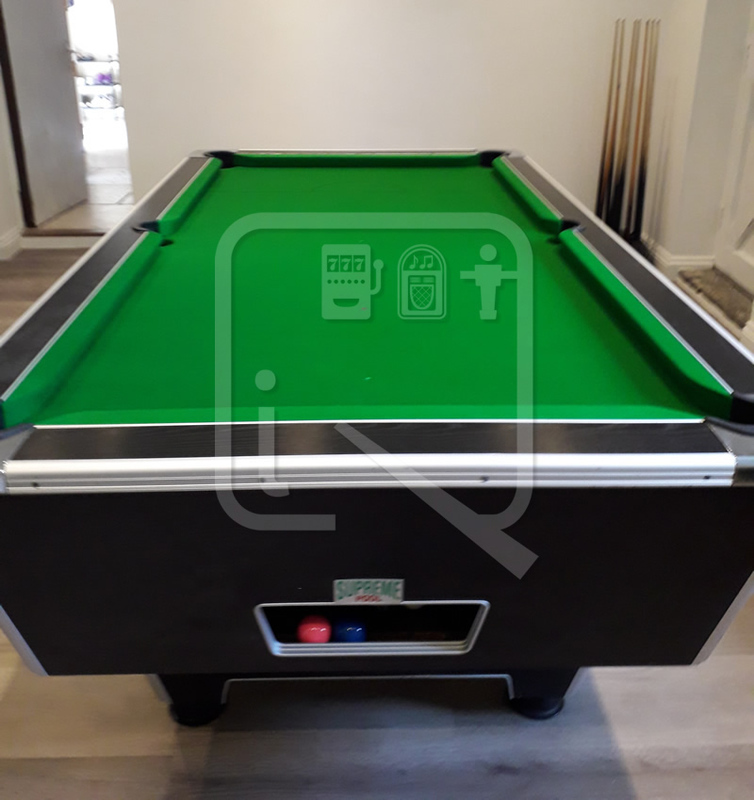 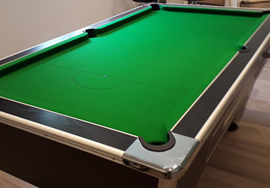 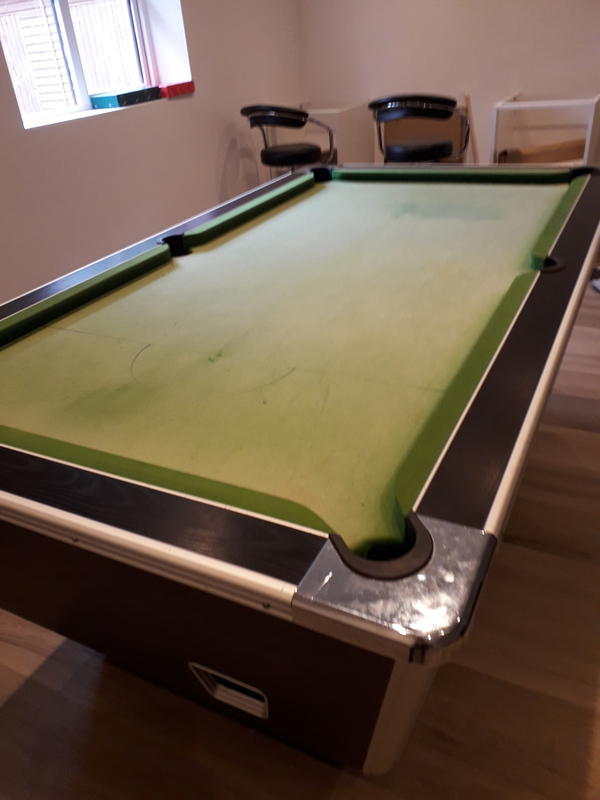 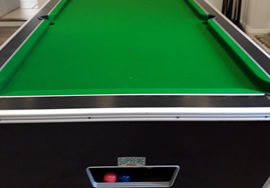 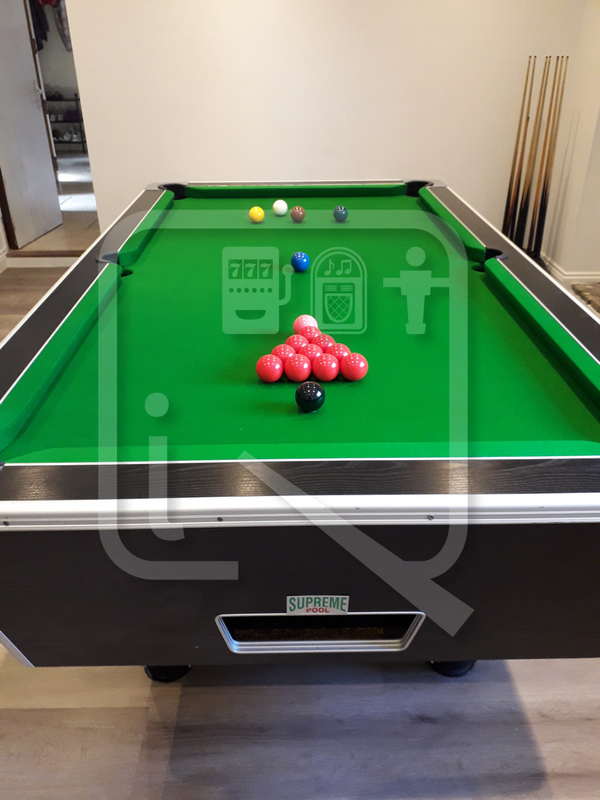 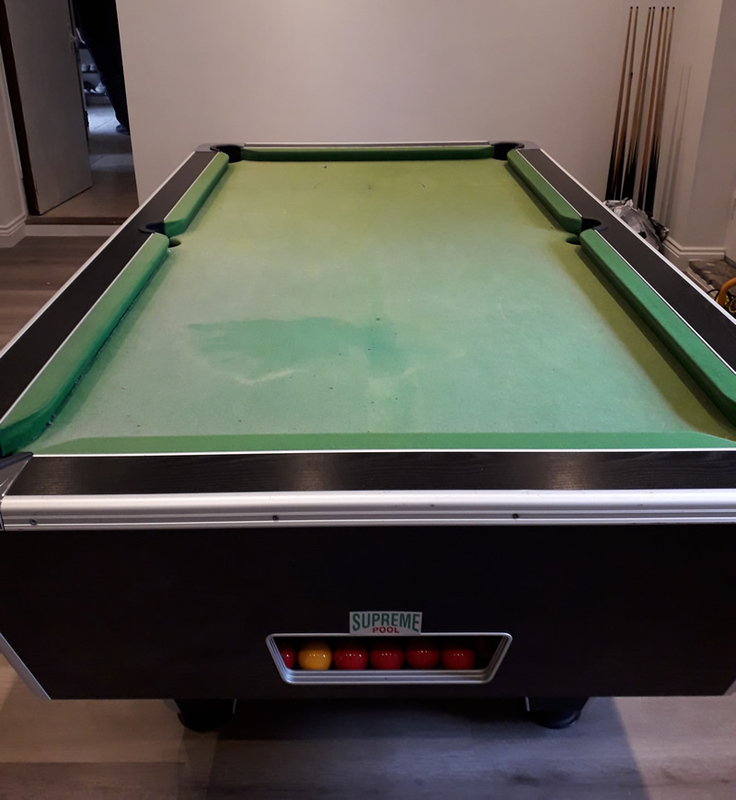 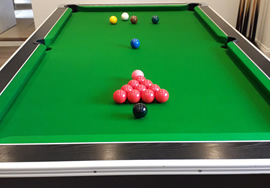 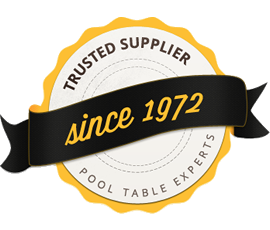 Our client had an older Supreme 7ft pool table and he wanted to revitalise the playing surface. 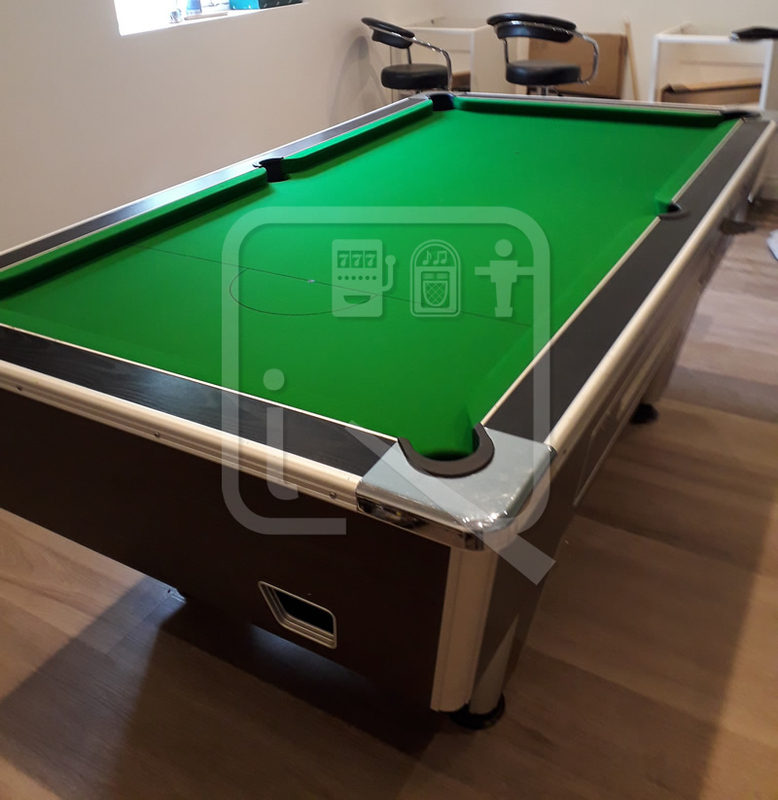 The pictures clearly illustrate the huge difference when a pool table is professional recovered. 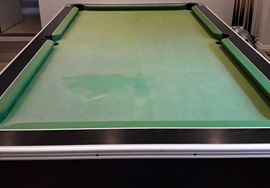 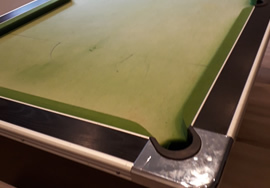 The napped green cloth we used means his table is match ready - going from unplayable threadbare green to Hainsorth napped green.